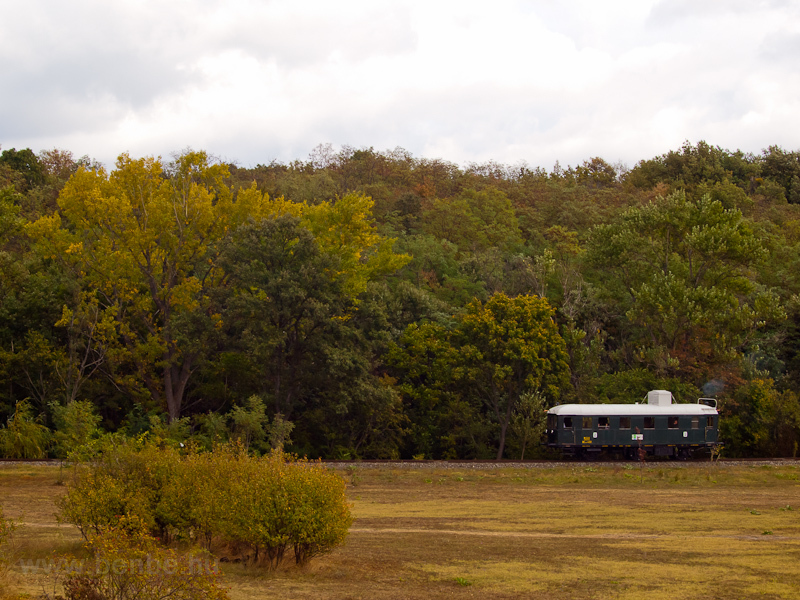 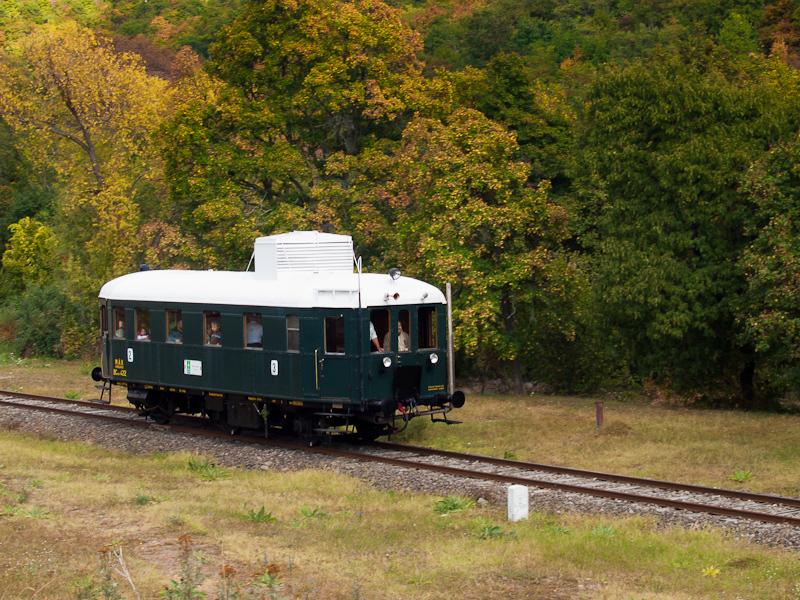 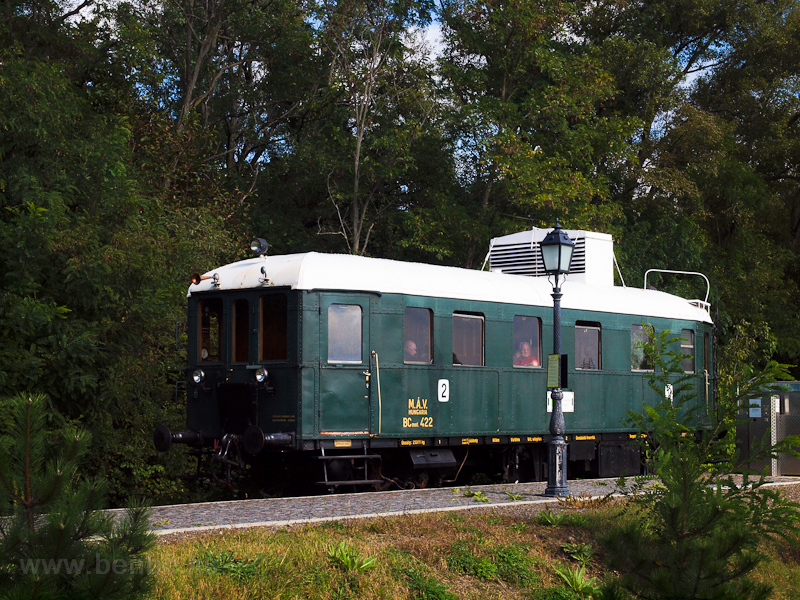 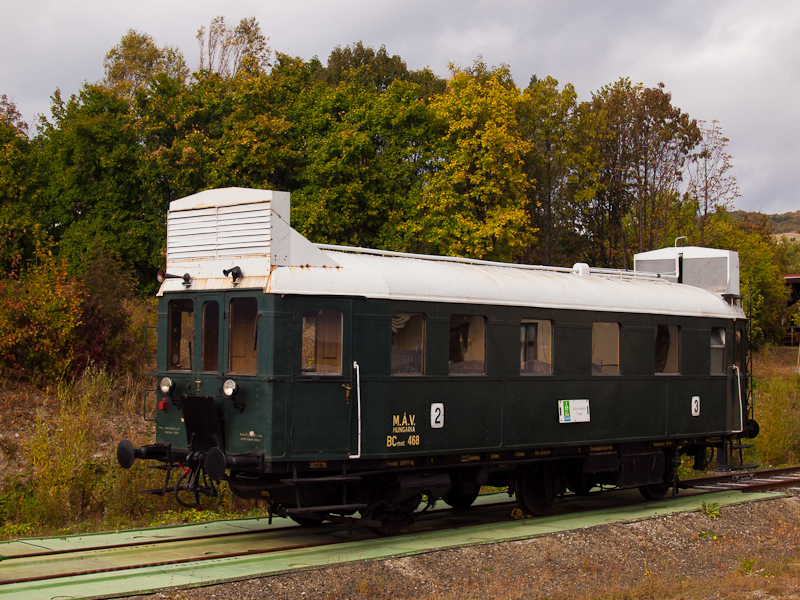 These types of railcars are nicknamed Ark of the Covenant because of the fairly visible cooler on the top. 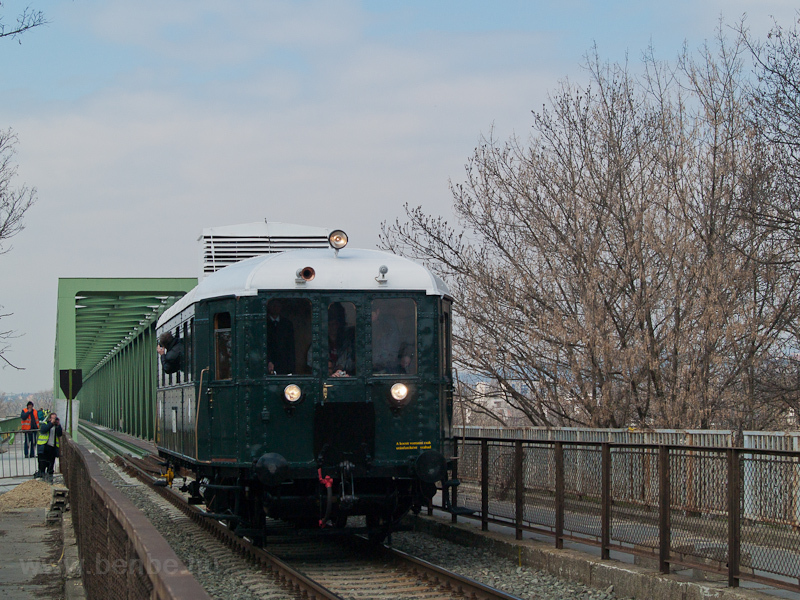 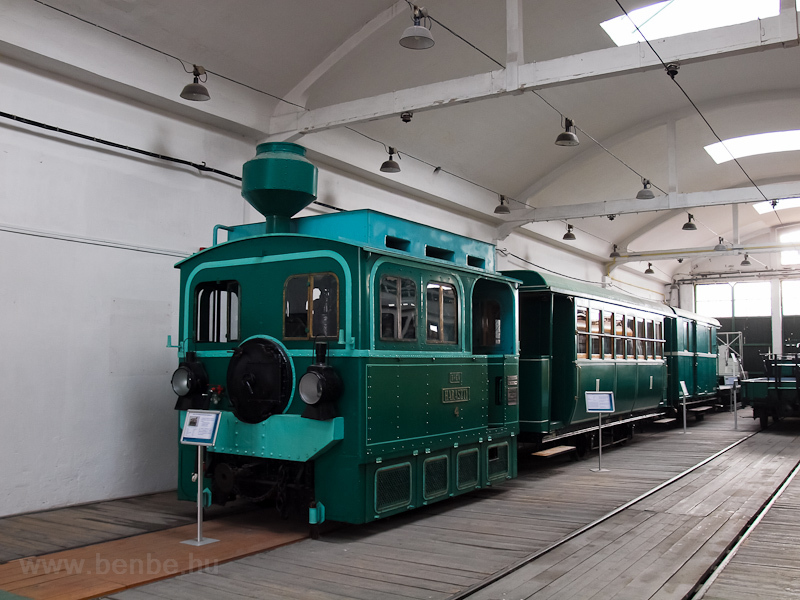 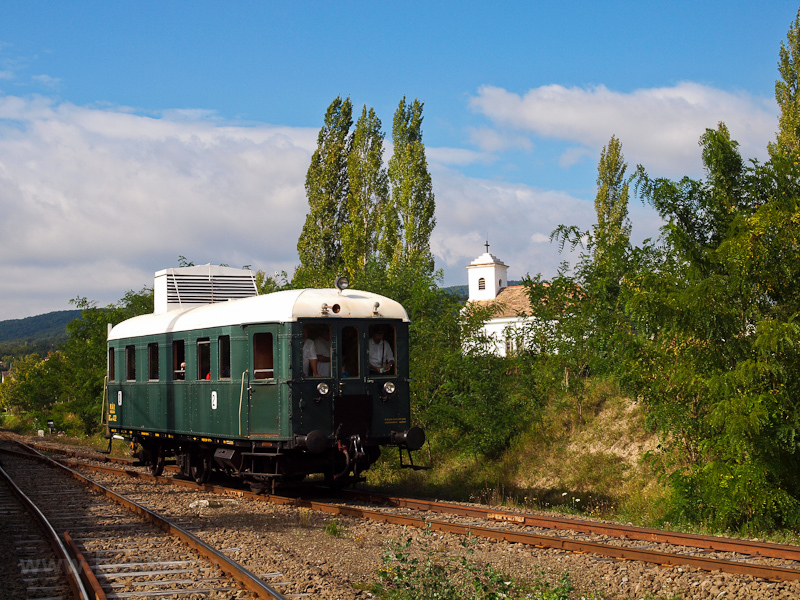 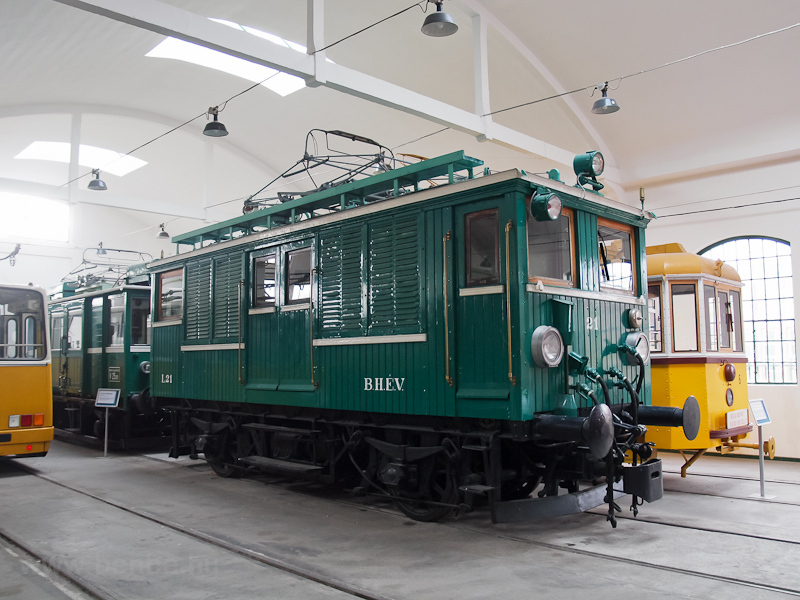 Manufactured by Ganz in the early 20th century they were used on mostly lowlands secondary railway lines usually with 1 or 2 trailers so that there was no more need for mixed passenger-freight trains and still the operations became more economical. 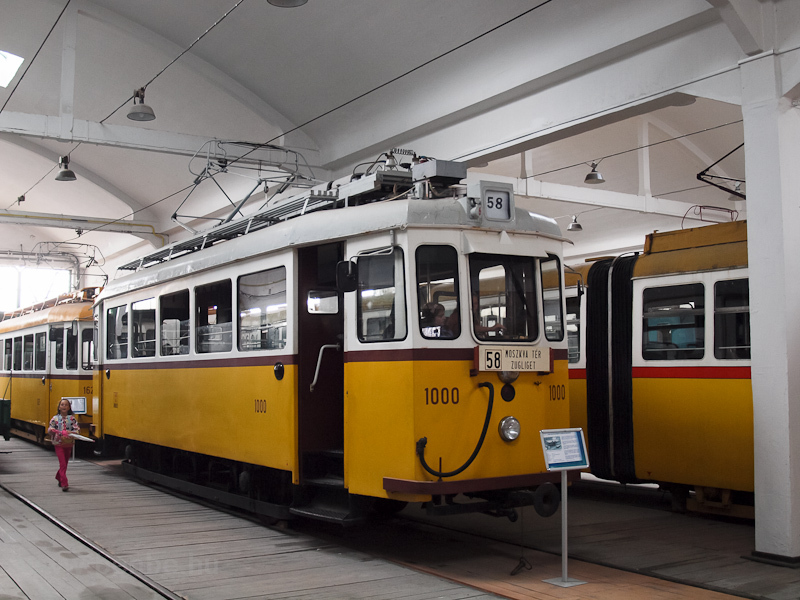 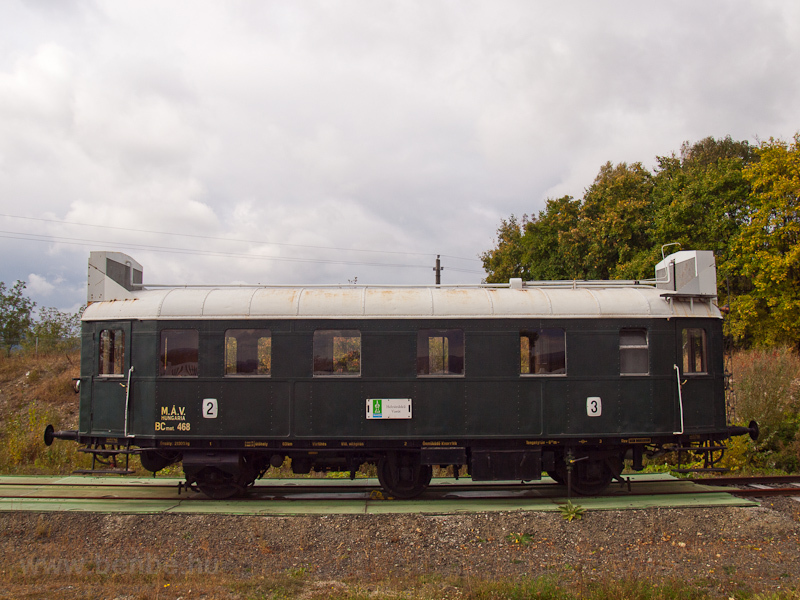 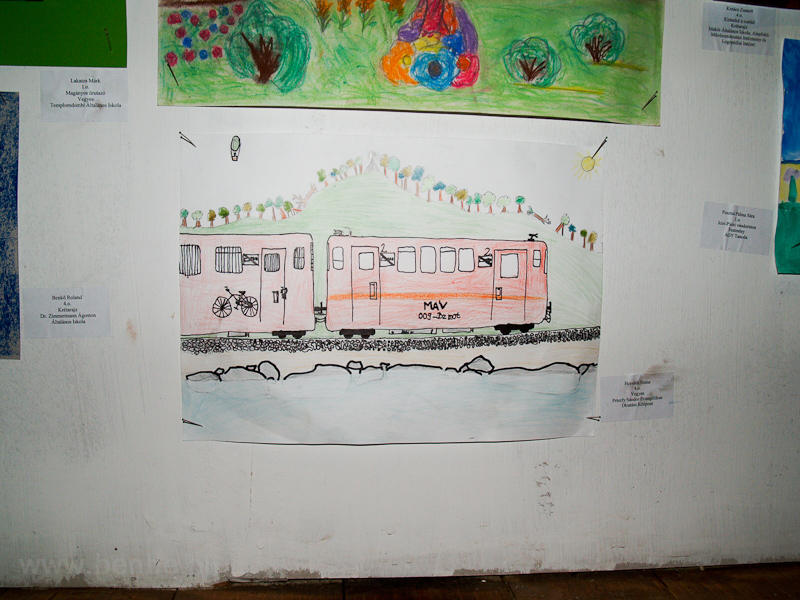 The Ganz model came out as the best one in a competition where many foreign, mostly German-made railcars were also participating, however the other railcars ended up to be to heavy for the tertiary railways where MÁV planned to use them. 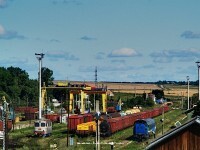 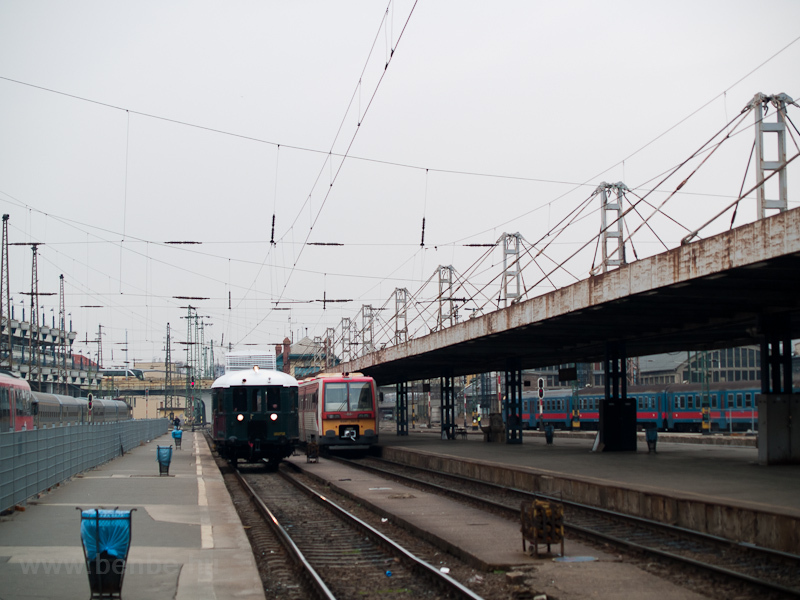 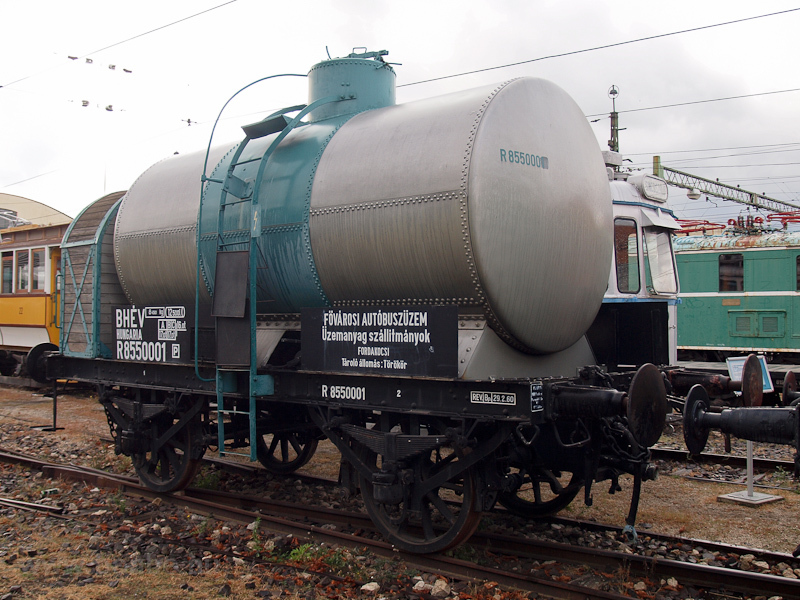 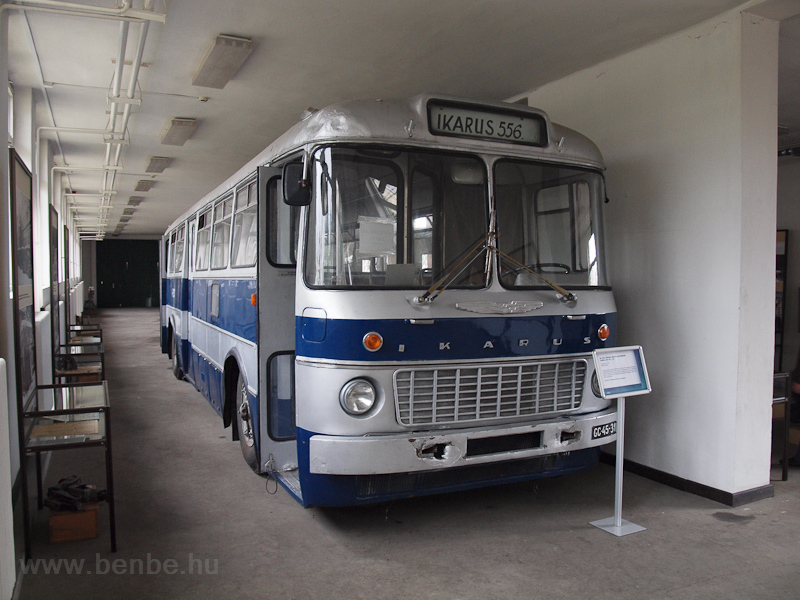 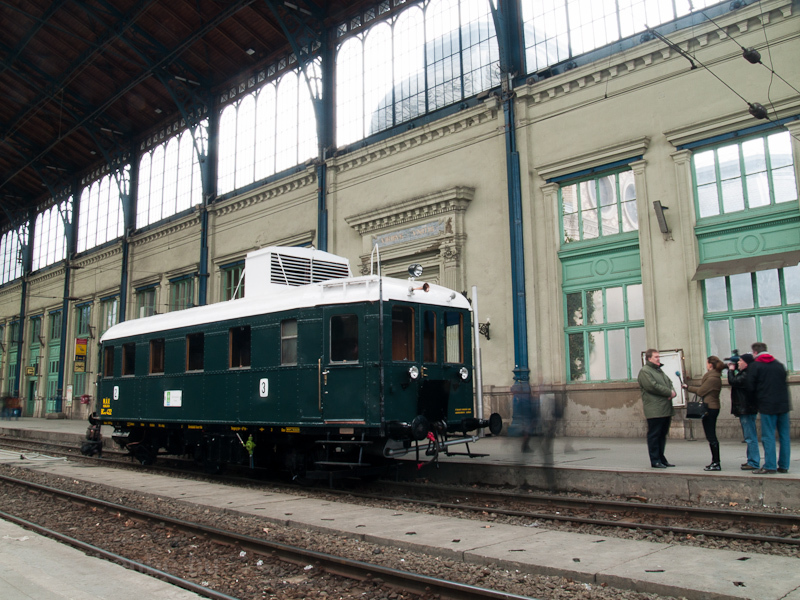 This particular railcar was stored for many years at Szentes, before that it was an internally used railcar at the Békéscsaba depot. 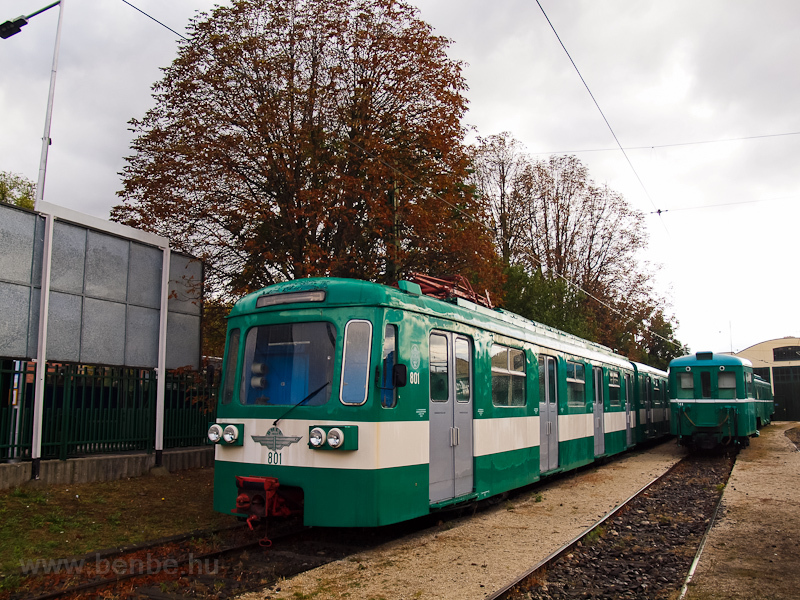 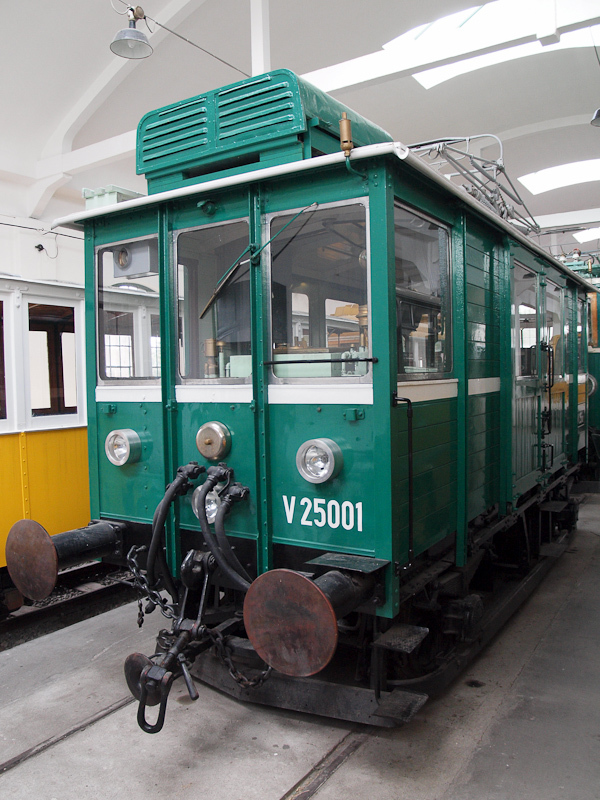 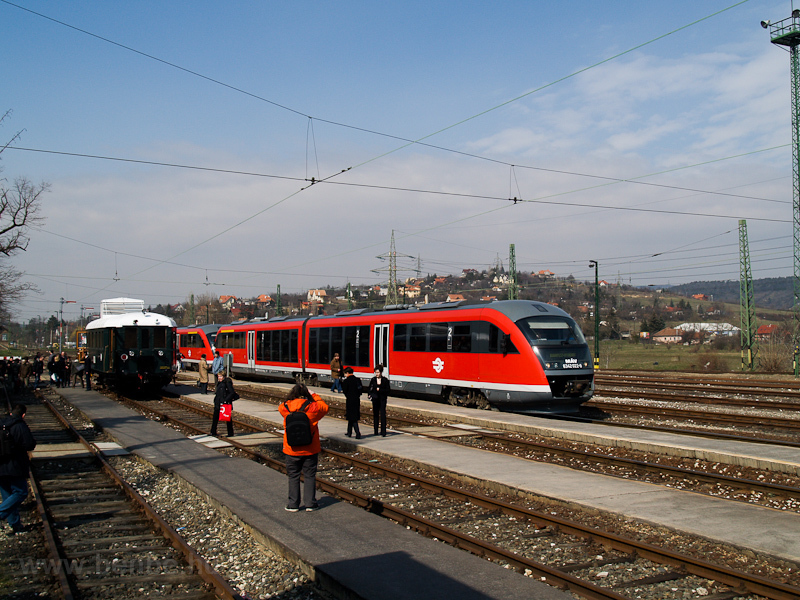 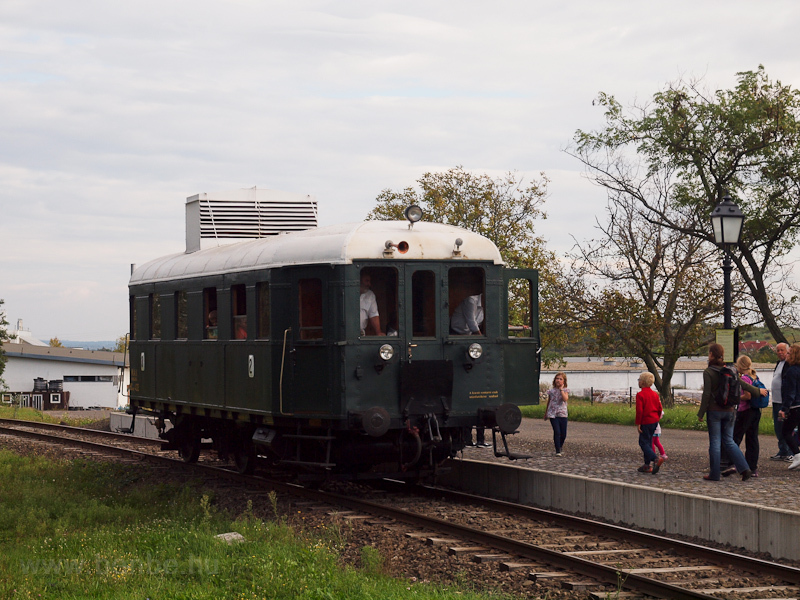 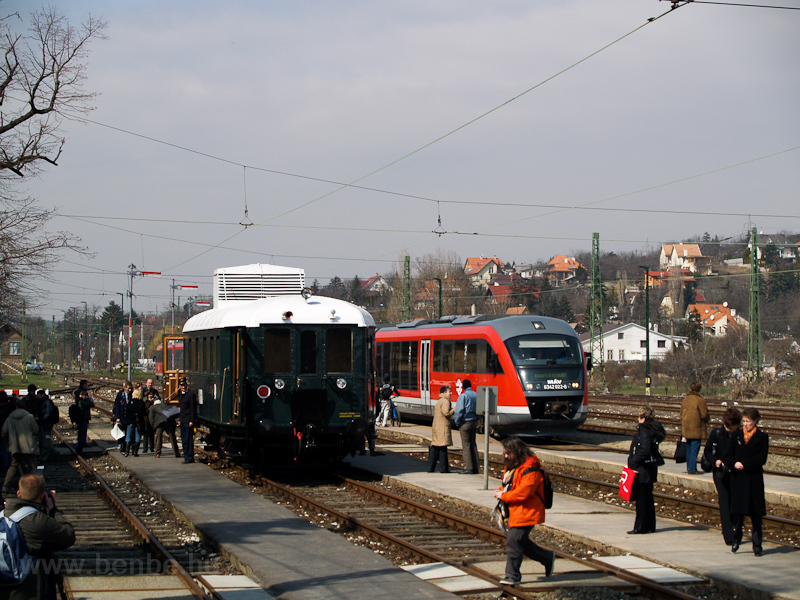 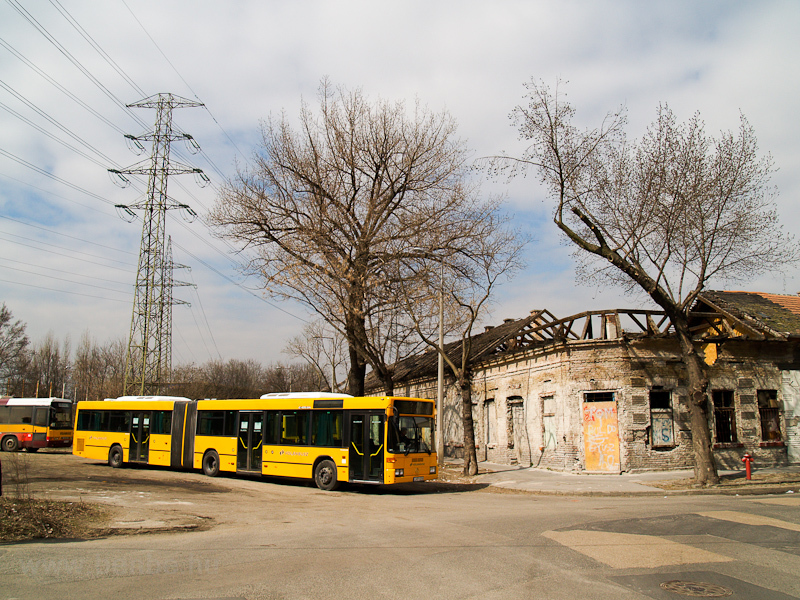 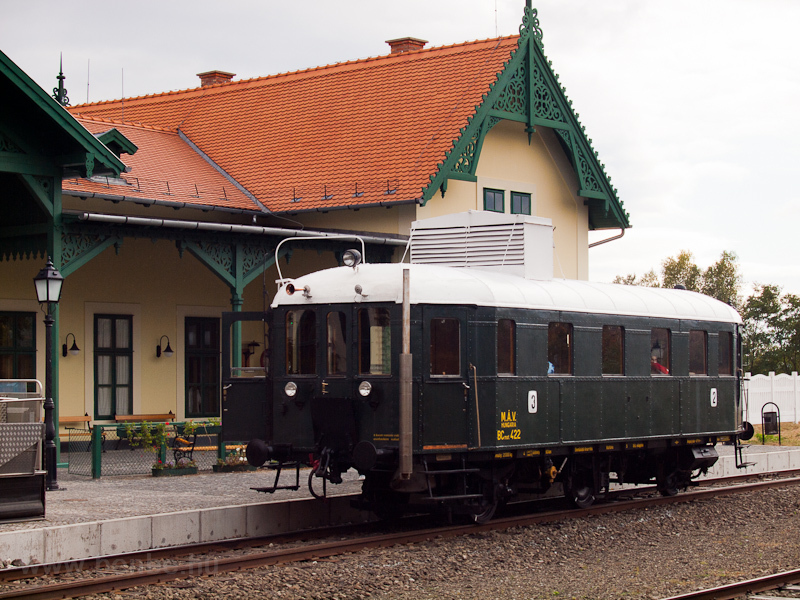 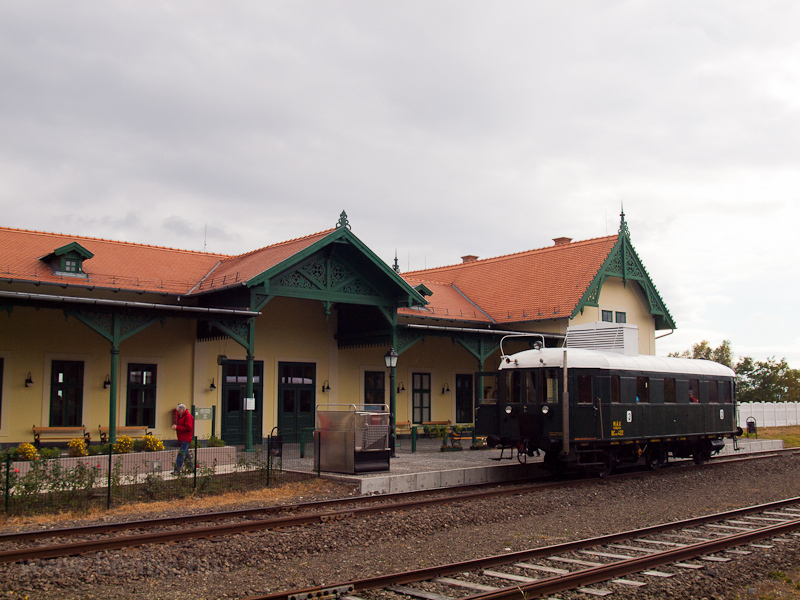 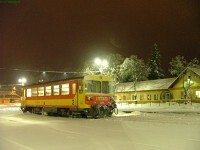 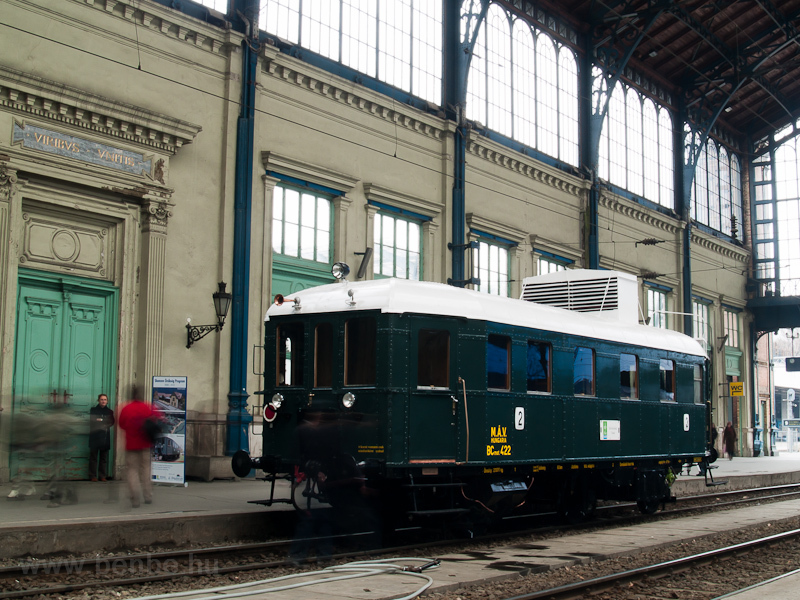 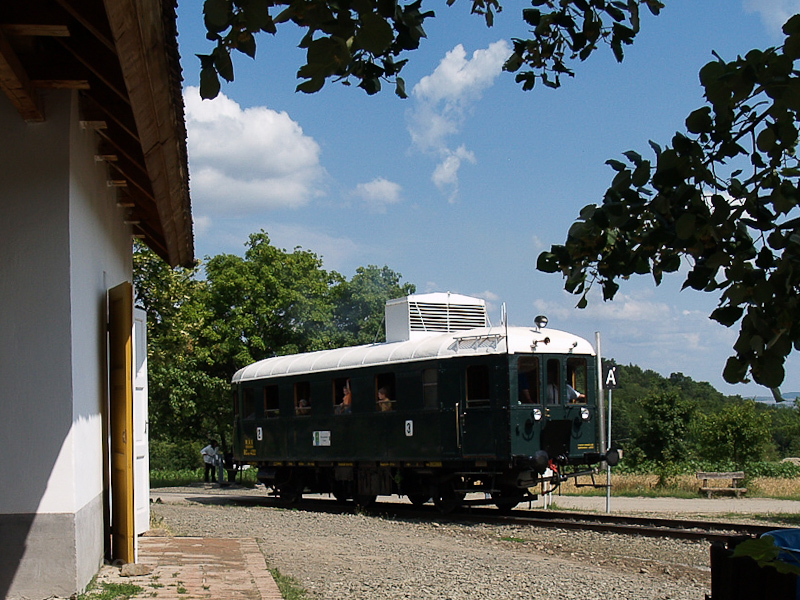 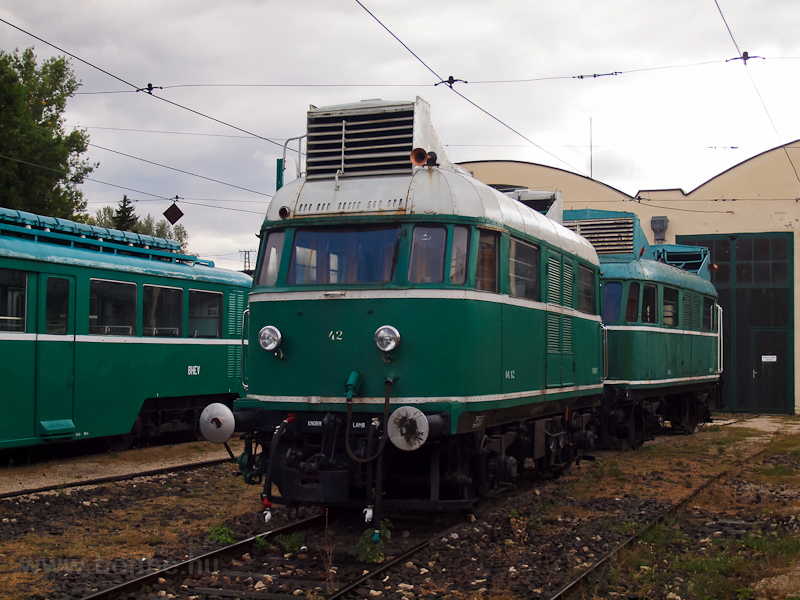 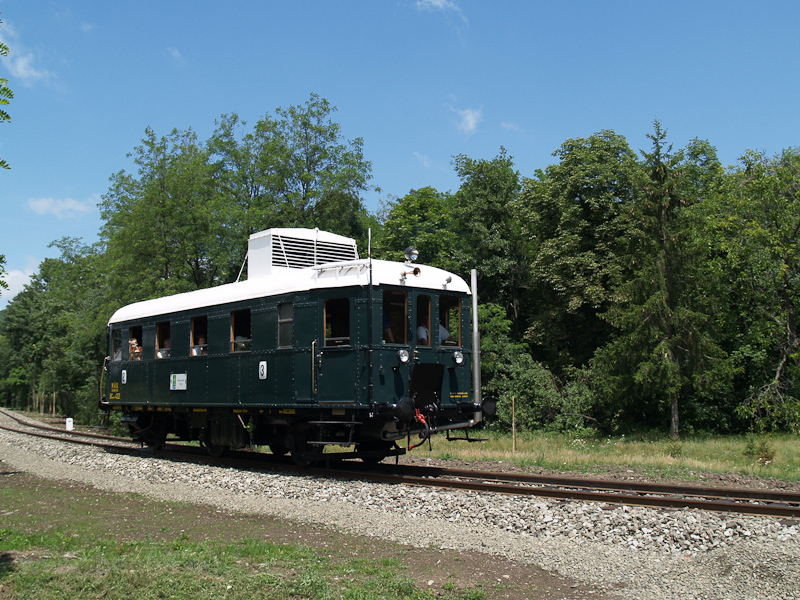 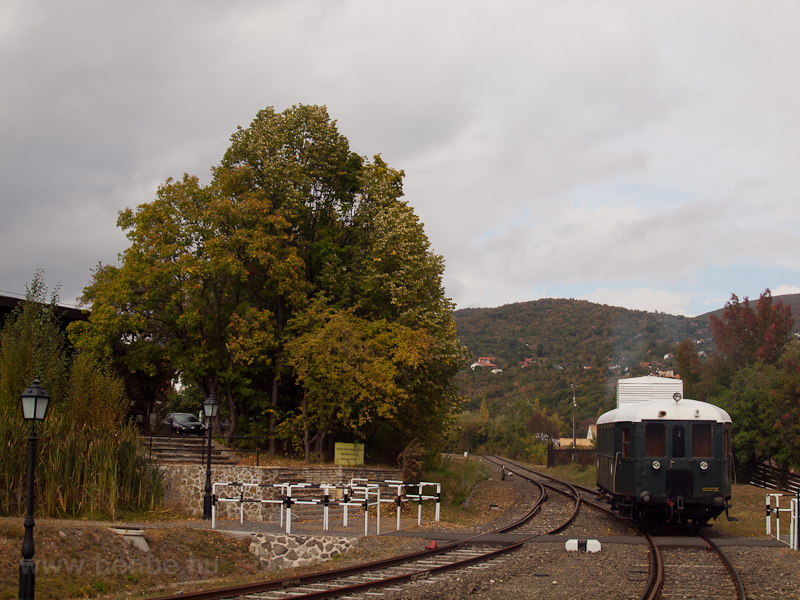 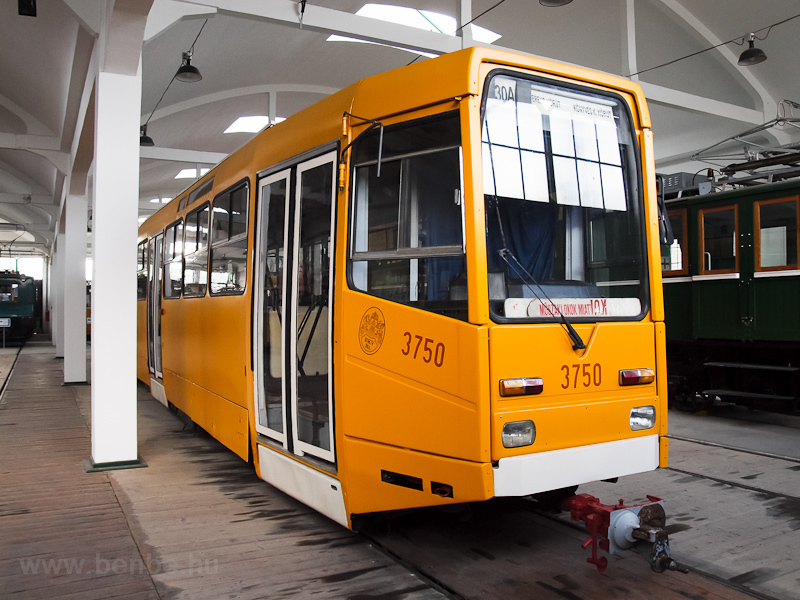 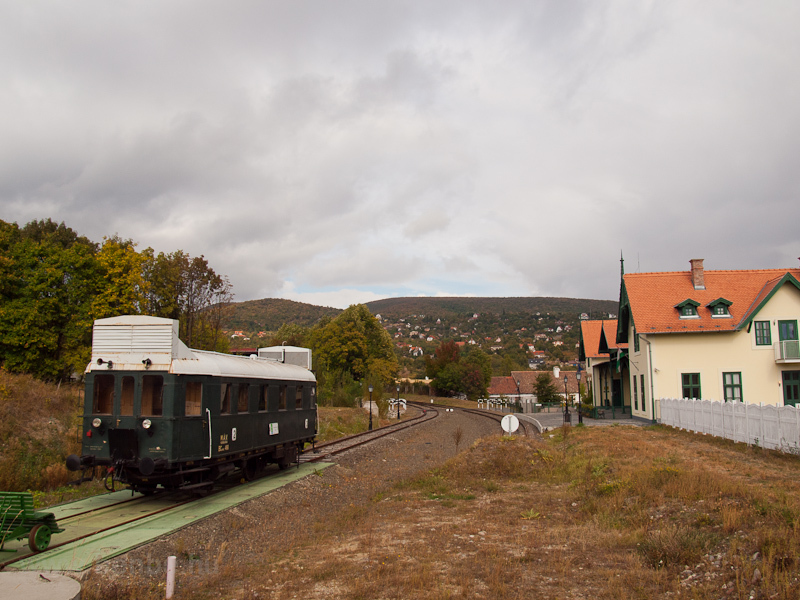 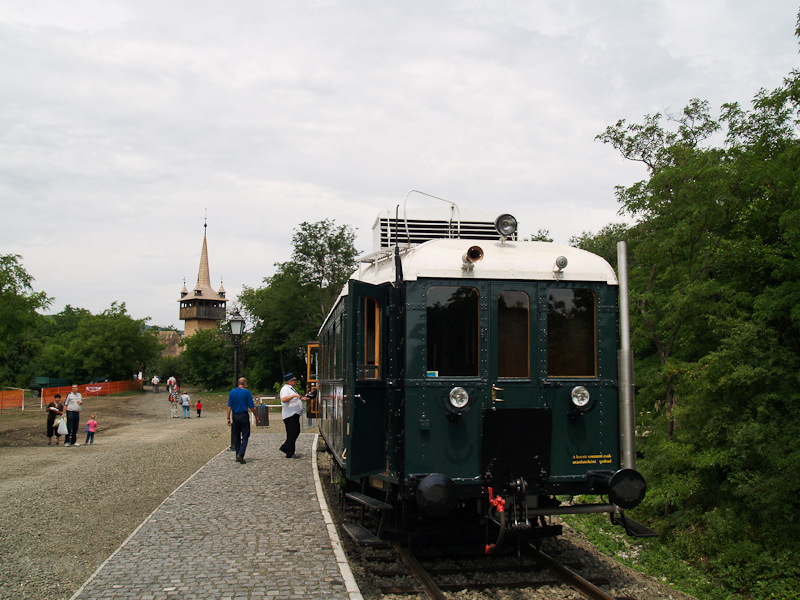 The large-scale extension of the Skanzen allowed for the restoration of the BCmot 422 together with some adjustments for its new role: lower top speed (together with greater tractive force) for the slow but heavily graded track at Szentendre and a hidden door extension to give an accessible entrance to the car. 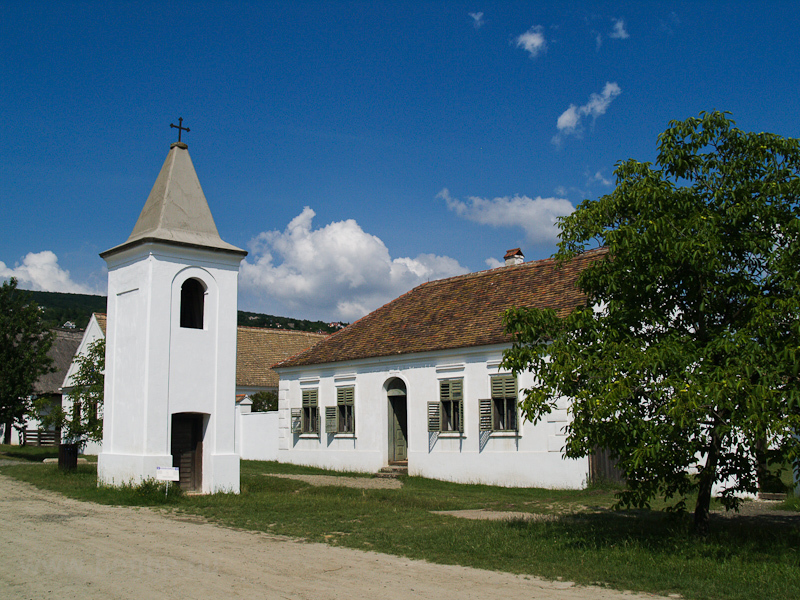 Greek catholics are a special group of orthodox christians living mostly in Hungary as they follow the Eastern traditions but are governed by the catholic Pope. 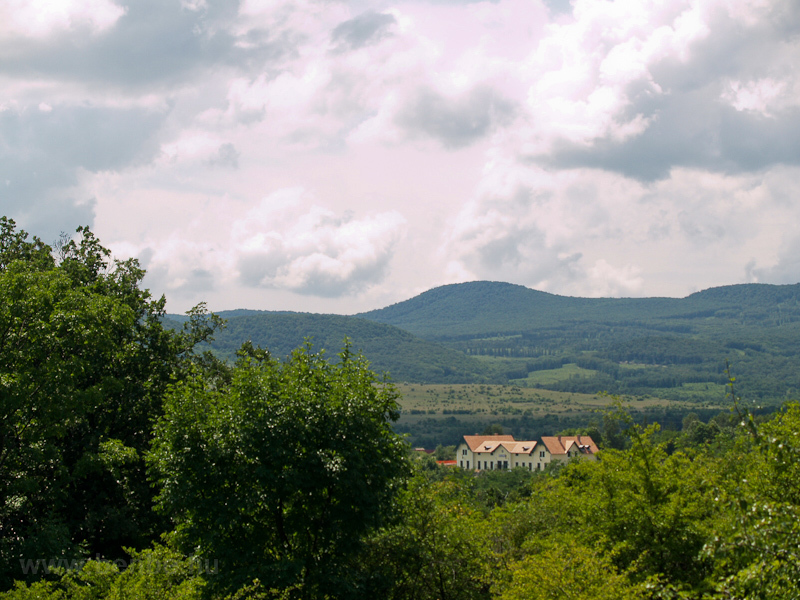 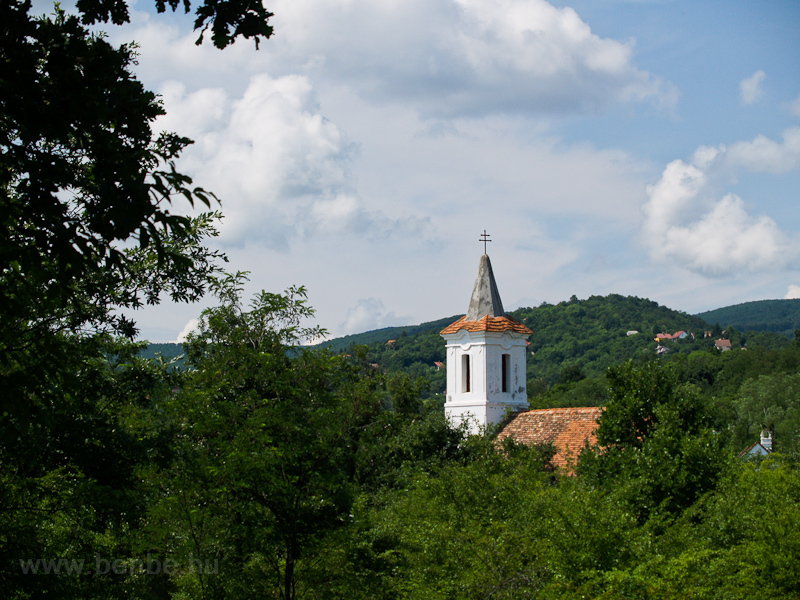 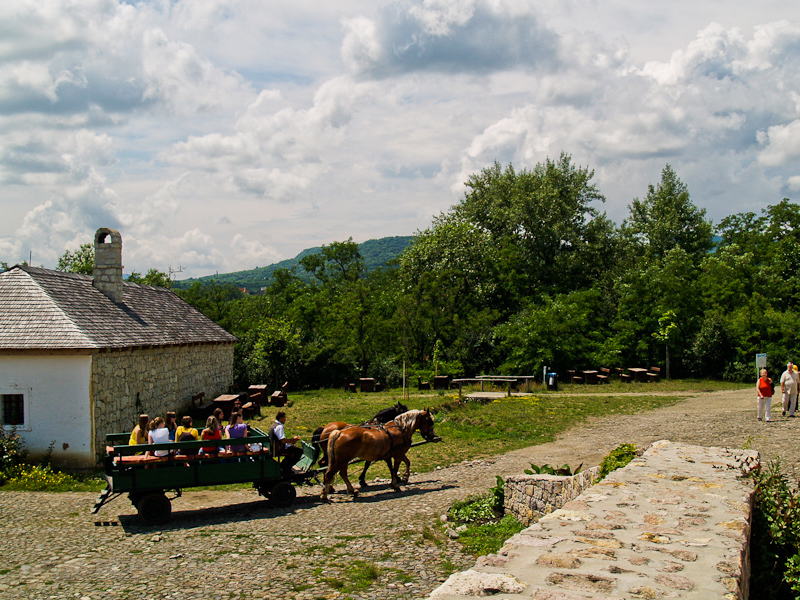 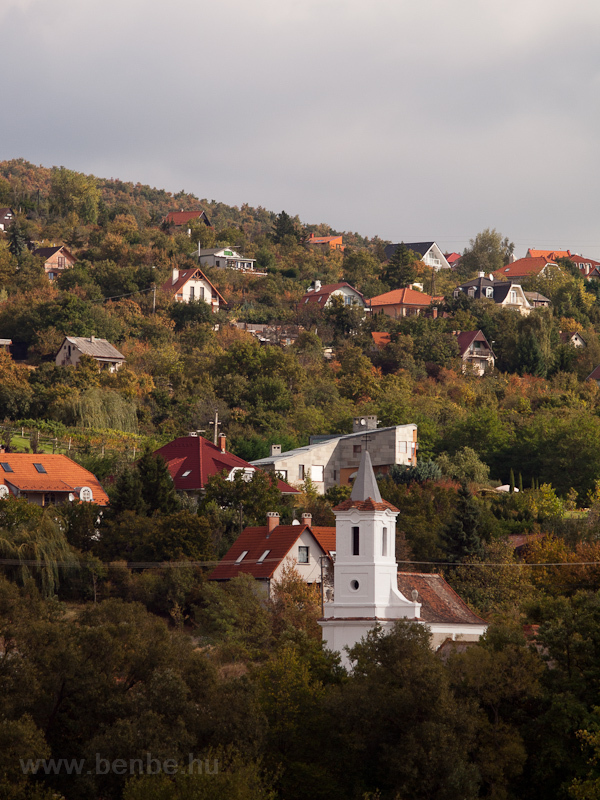 The Skanzen is mostly situated in the valley below. 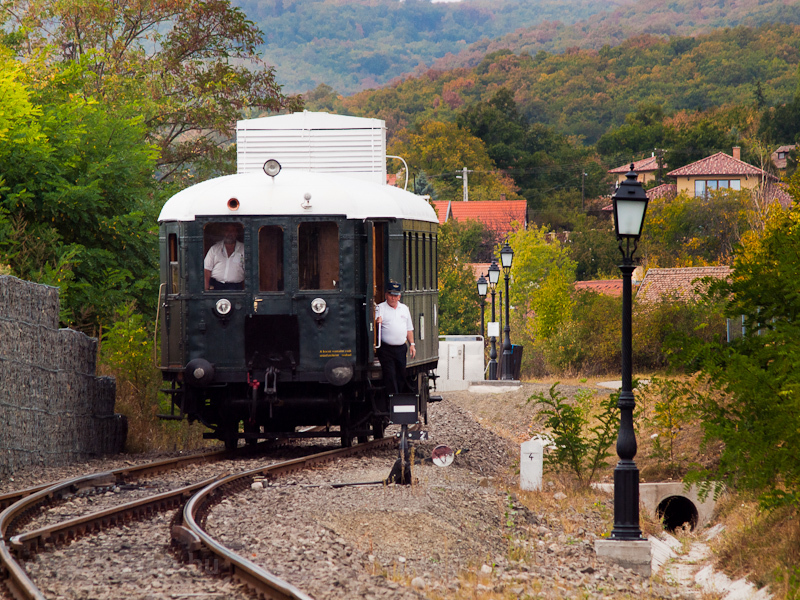 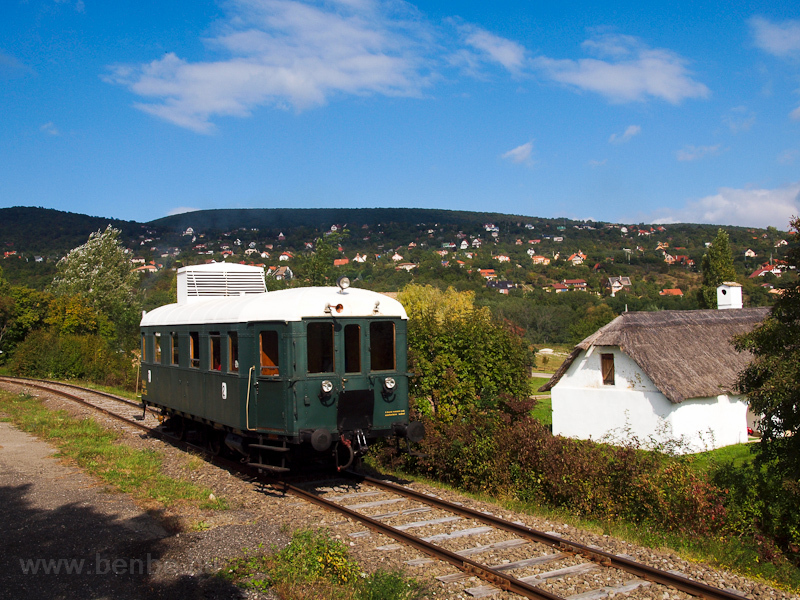 The train takes two zig-zags (quite unique in Europe) to descend to the valley of the Staravoda creek (Black water in Serbian as Szentendre is a partly ethnic, Serbian village). 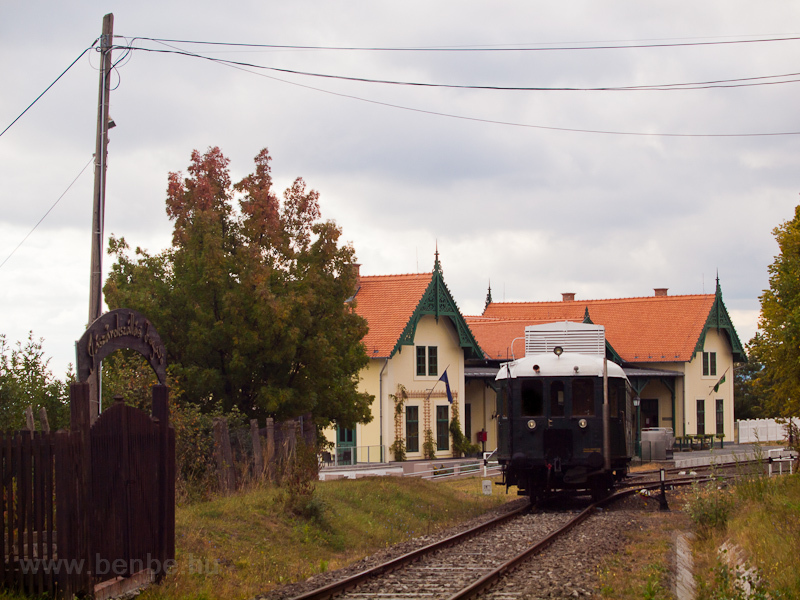 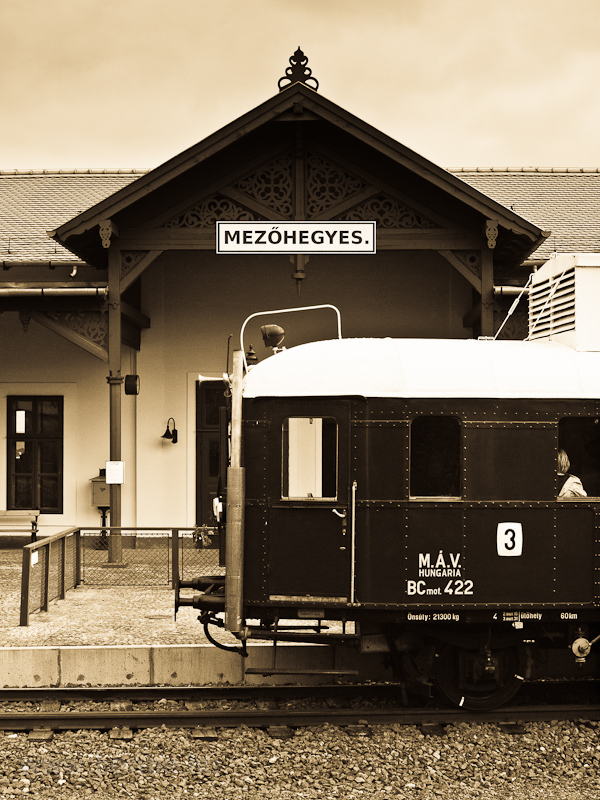 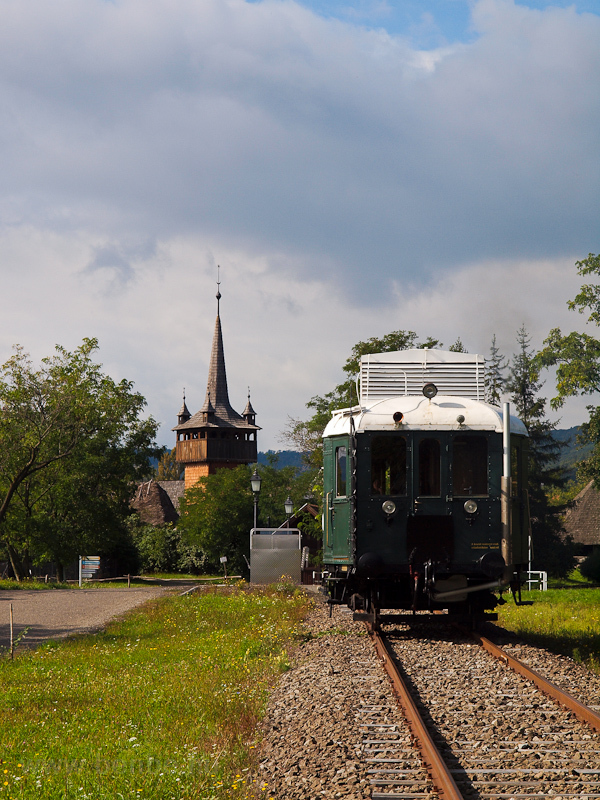 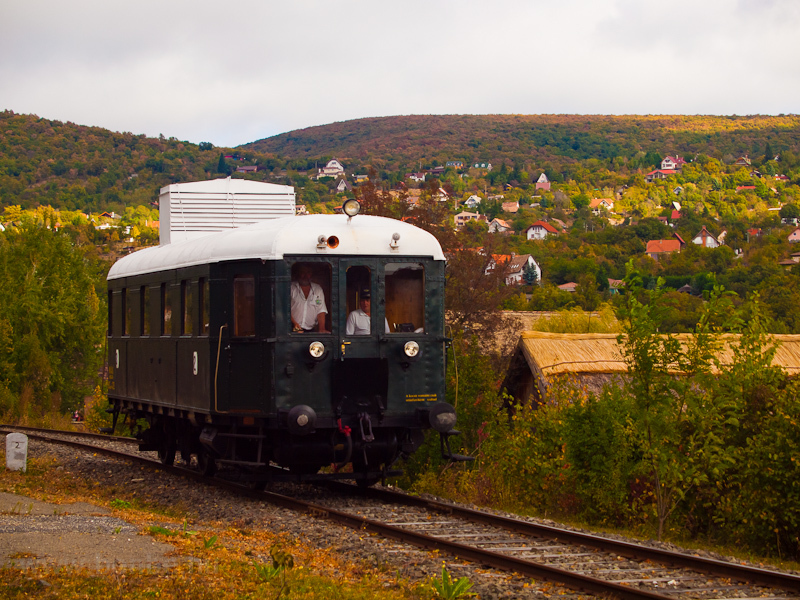 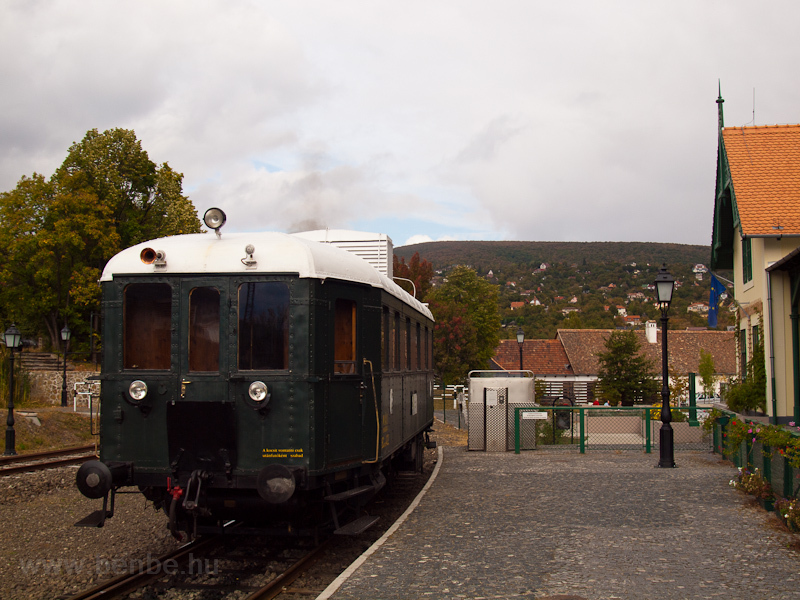 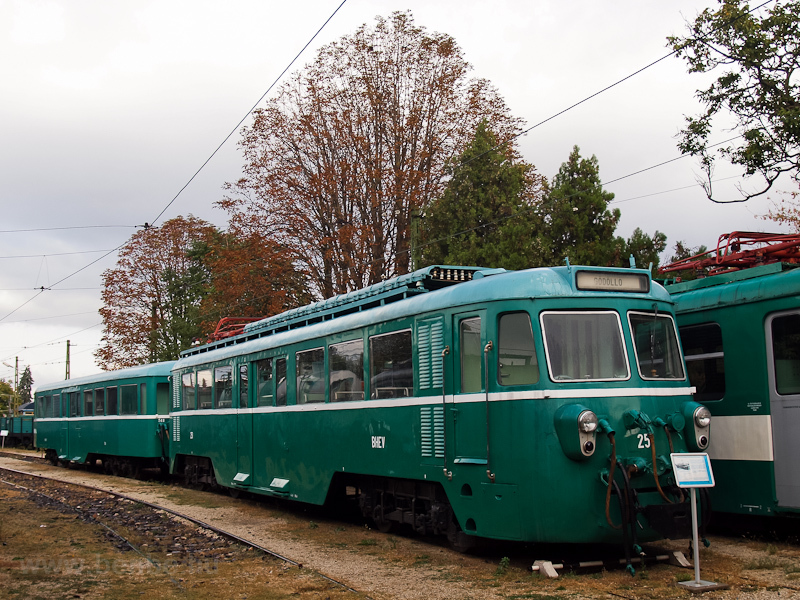 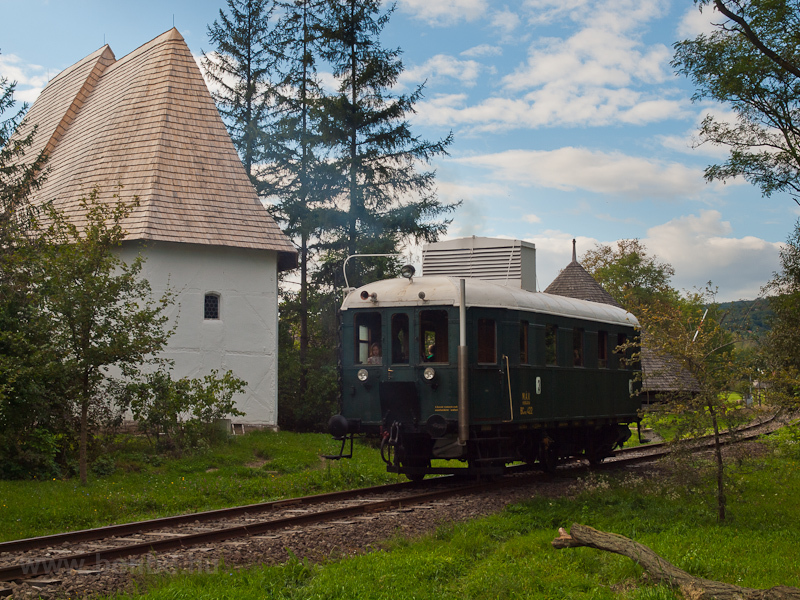 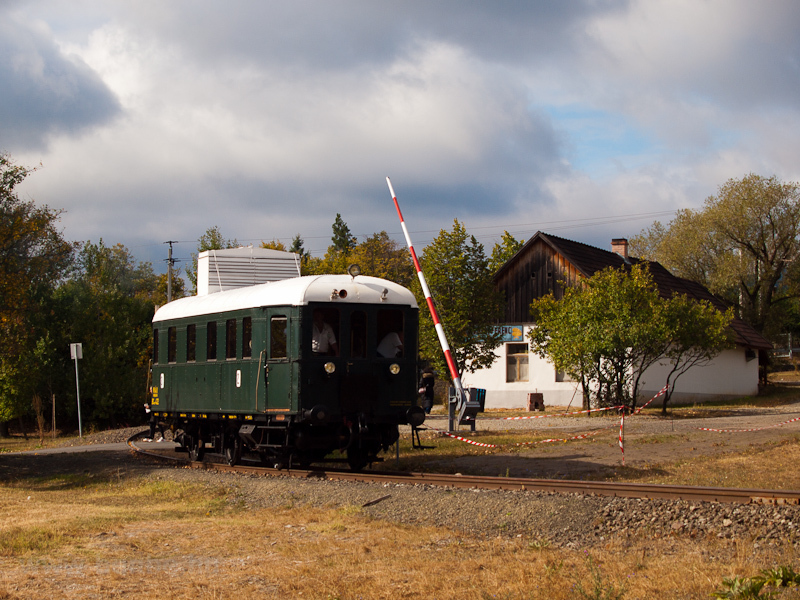 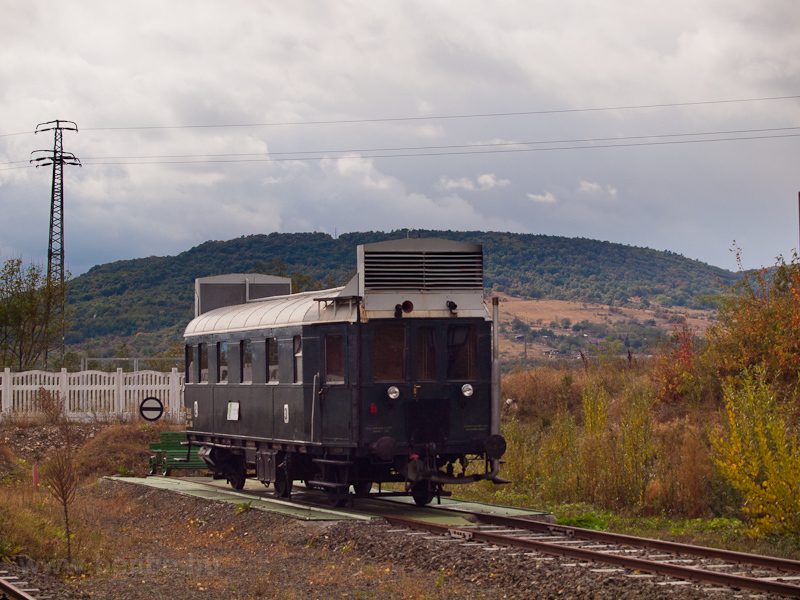 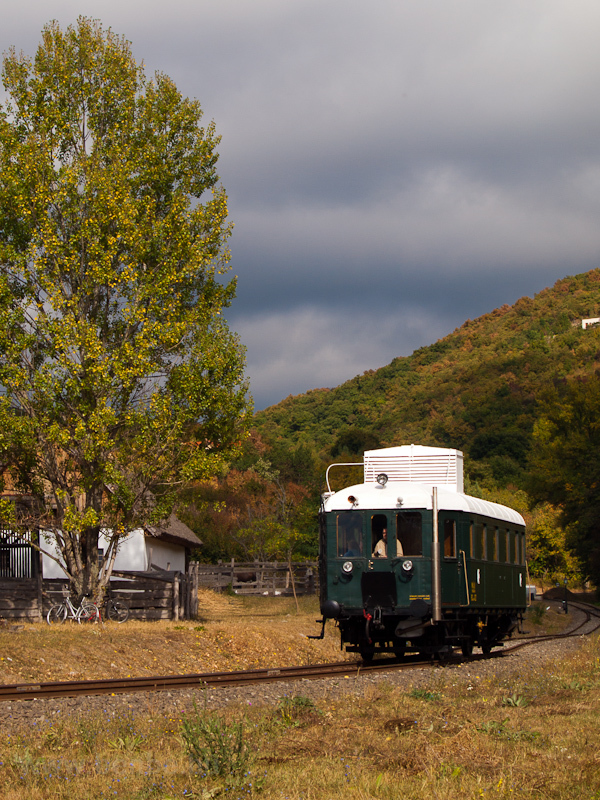 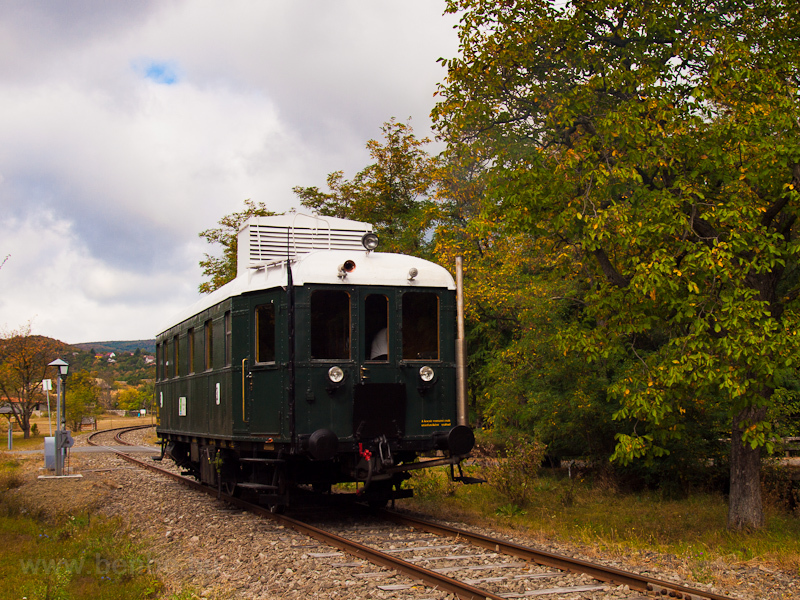 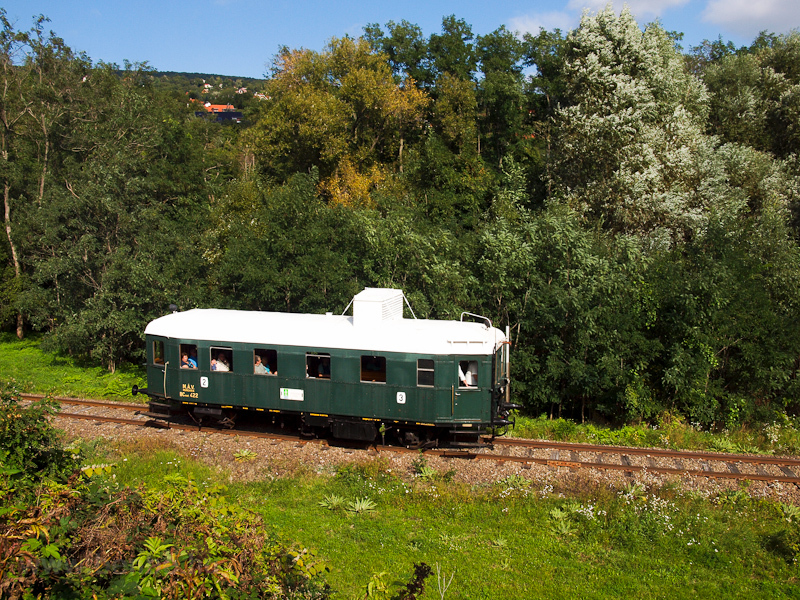 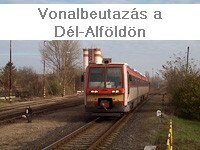 Zig-zags were quite common on narrow-gauge forest railways in Hungary, a great example can still be found the the Nagybörzsöny Forest Railway between Kisírtás and Tolmács-hegy . 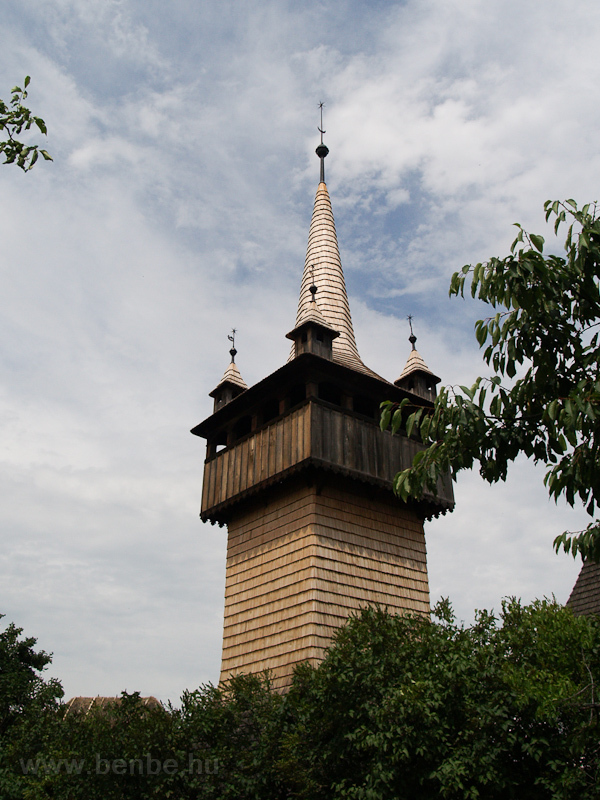 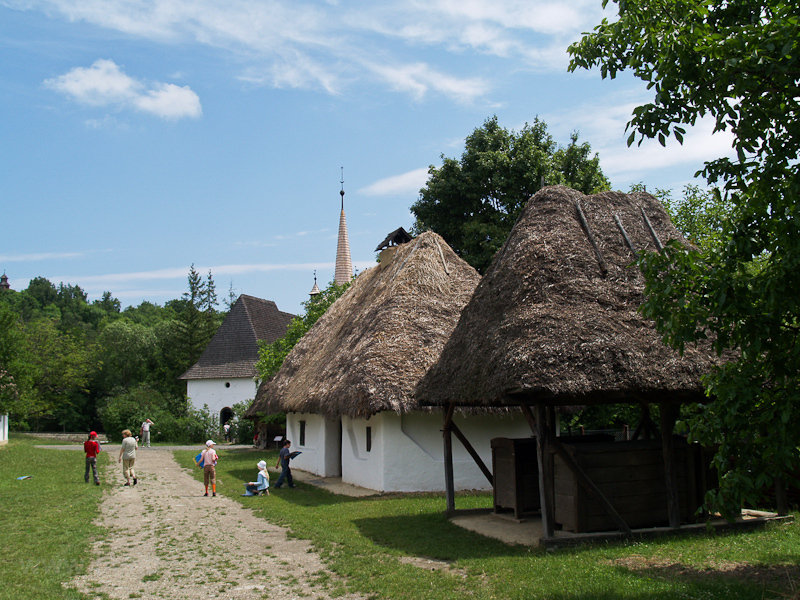 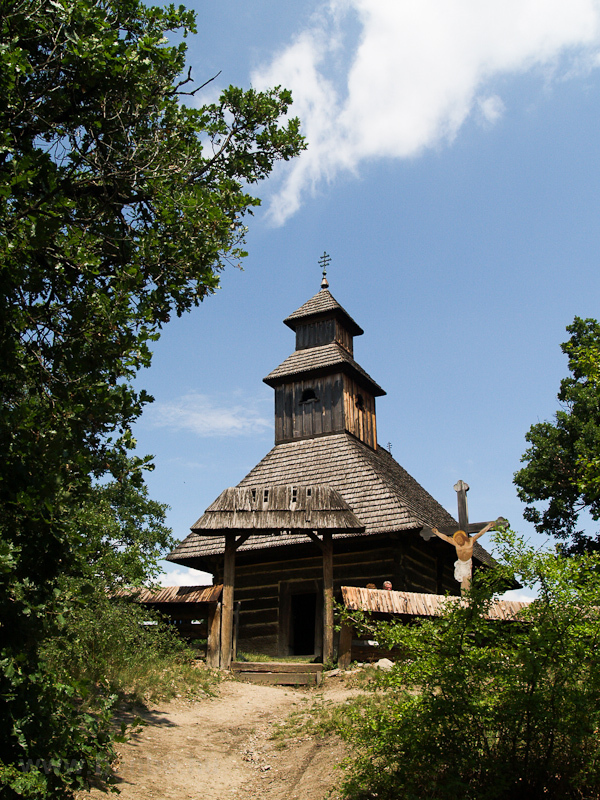 The Skanzen, or open-air ethnic museum comes from Sweden but is a very popular kind of museum in Central and Eastern Europe. 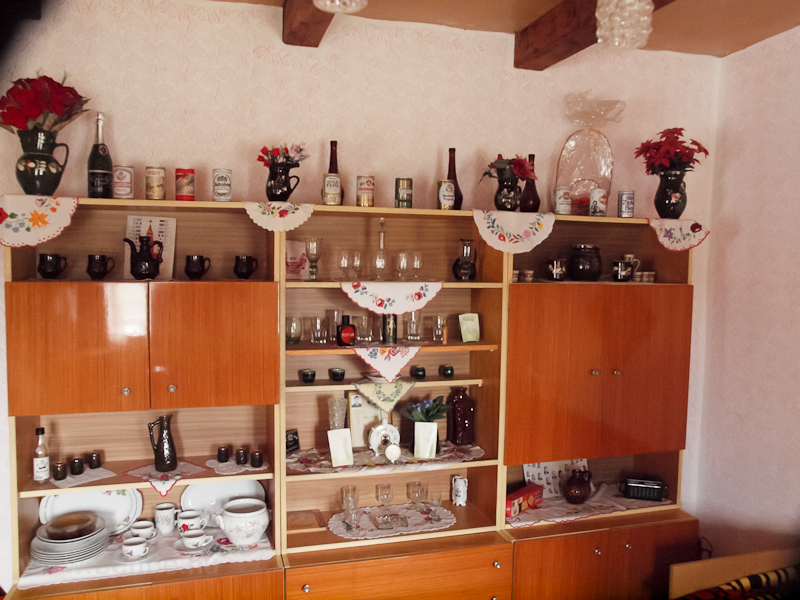 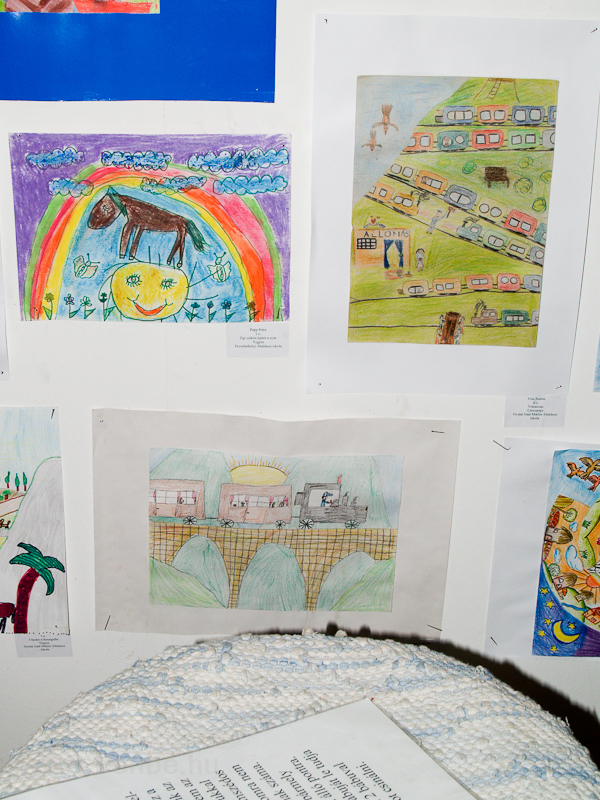 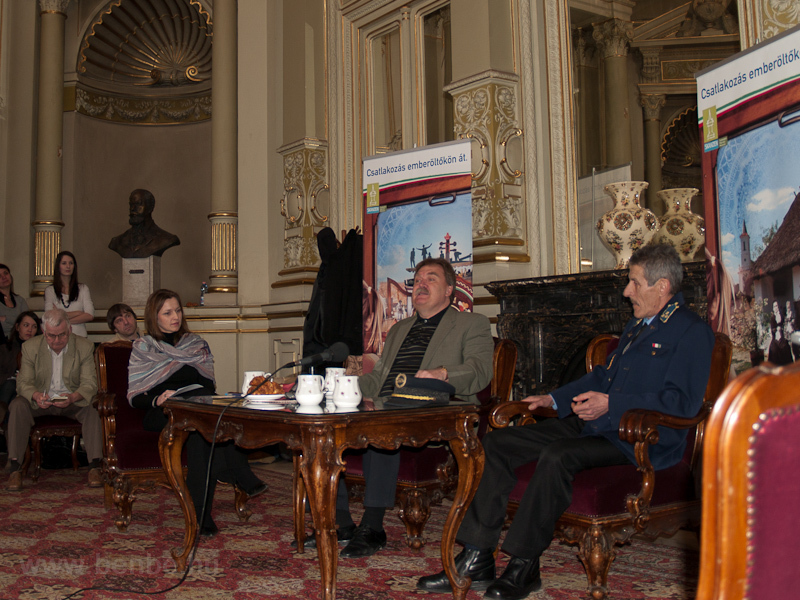 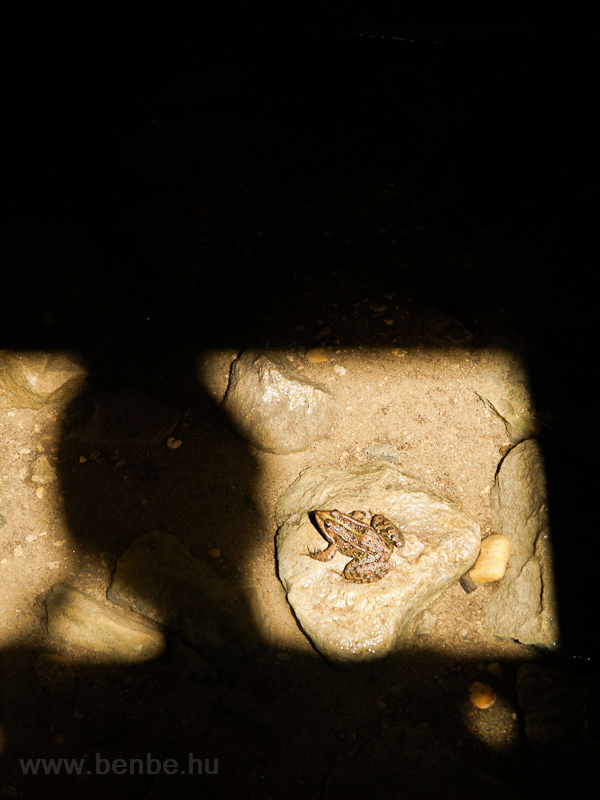 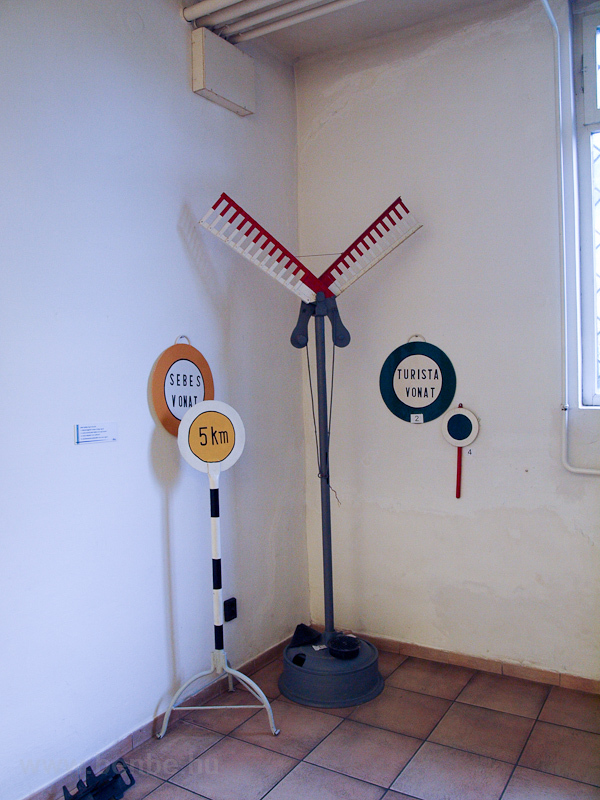 Its aim is to show how people lived in the areas where the industrial revolution had little effect, mostly in villages with only agriculture or hand-crafts as an income. 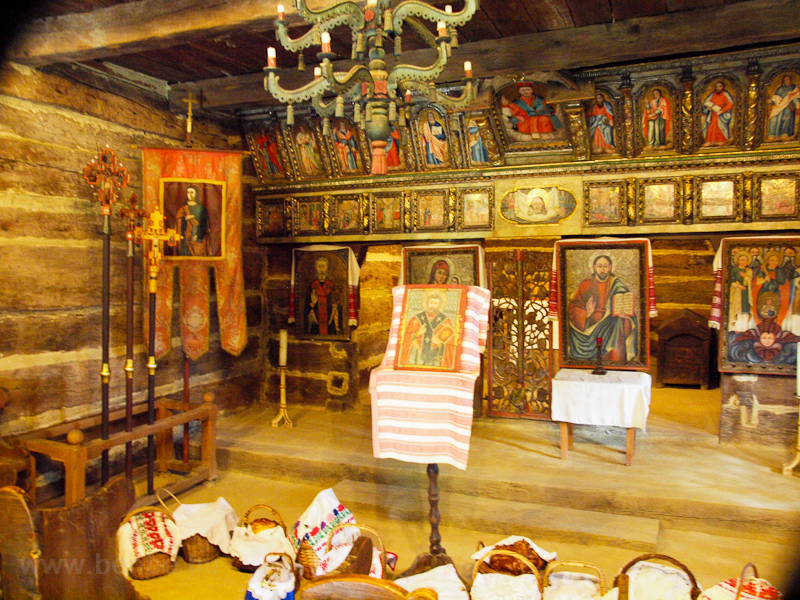 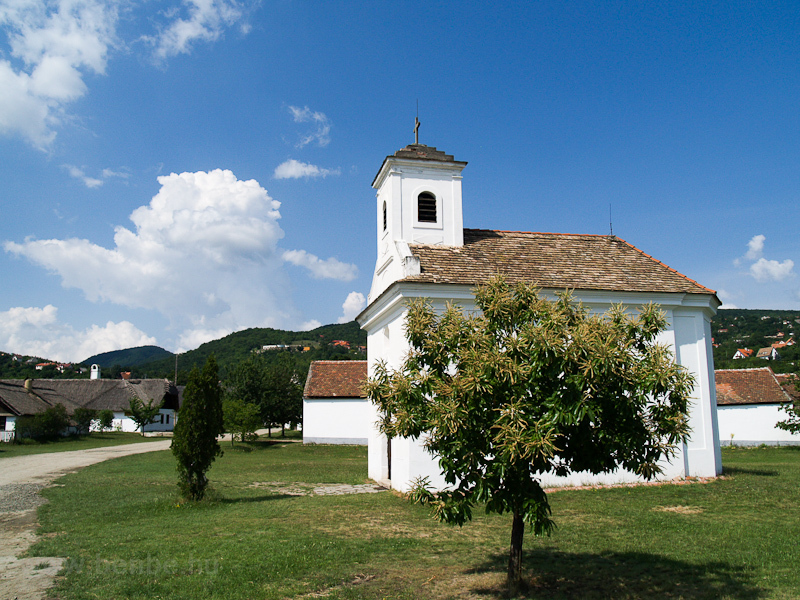 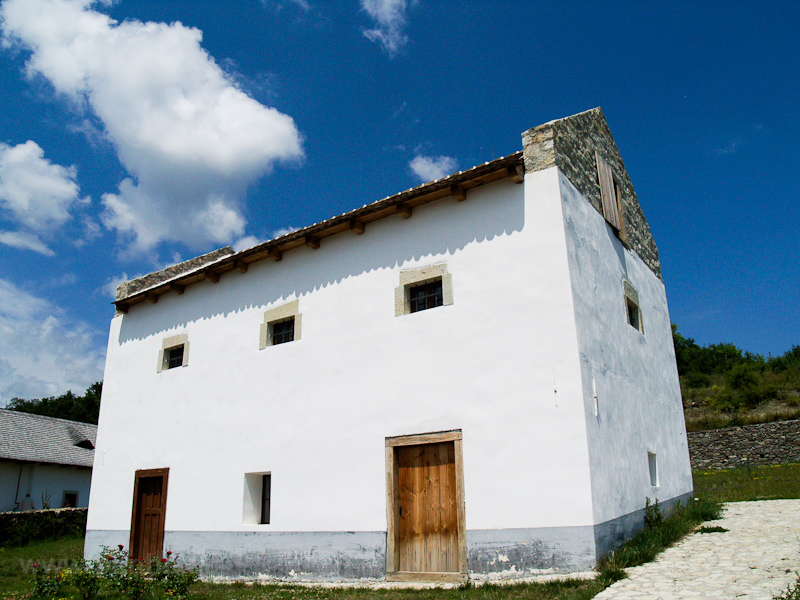 The buildings are authentic ones brought here from various villages in the Carpathian basin, accurately dismantled and then rebuilt in a new location. 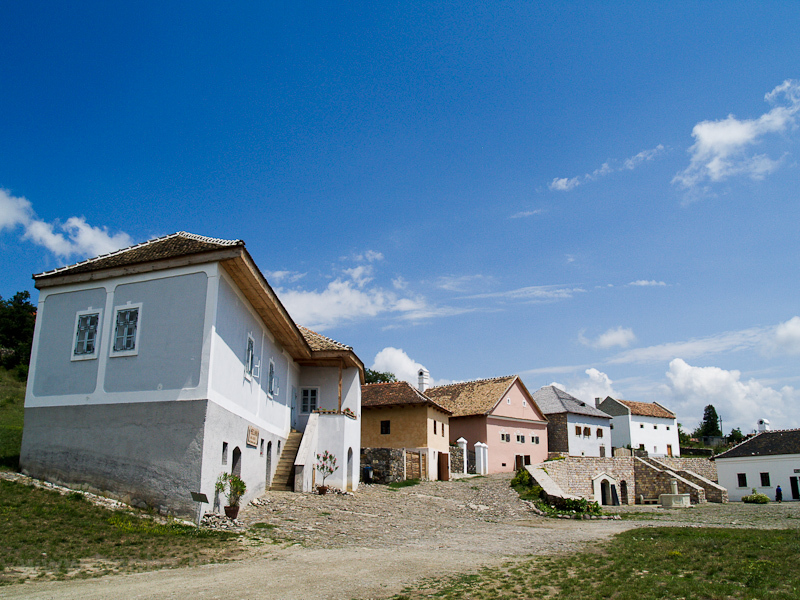 The buildings are thematically arranged on the museum grounds so that buildings from the same region form a typical village from there with the most common or most interesting buildings. 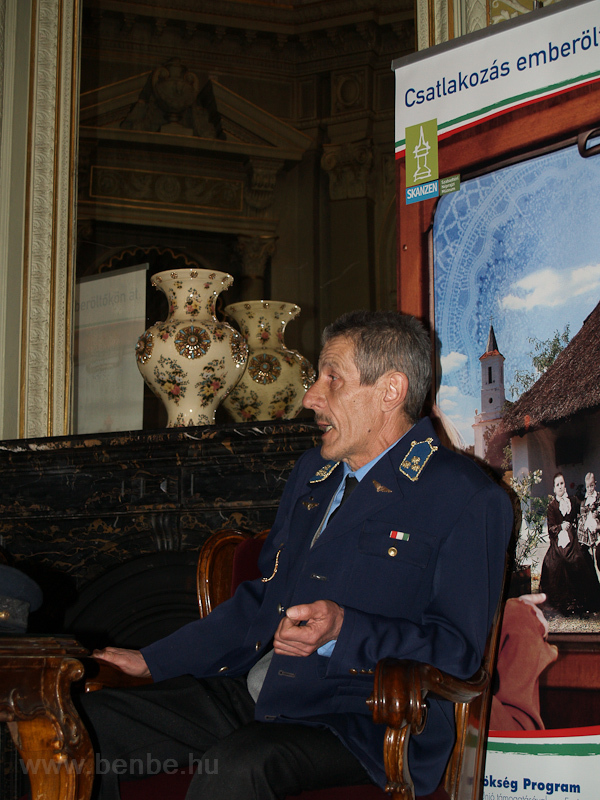 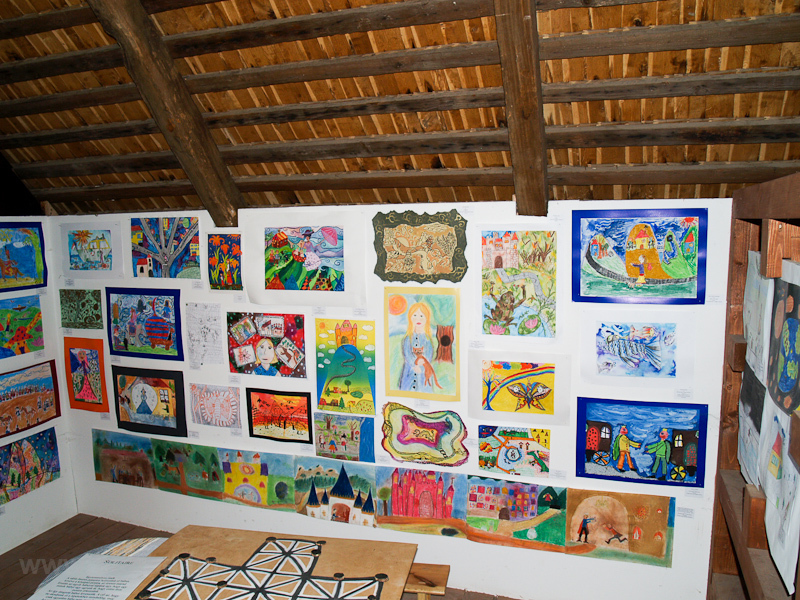 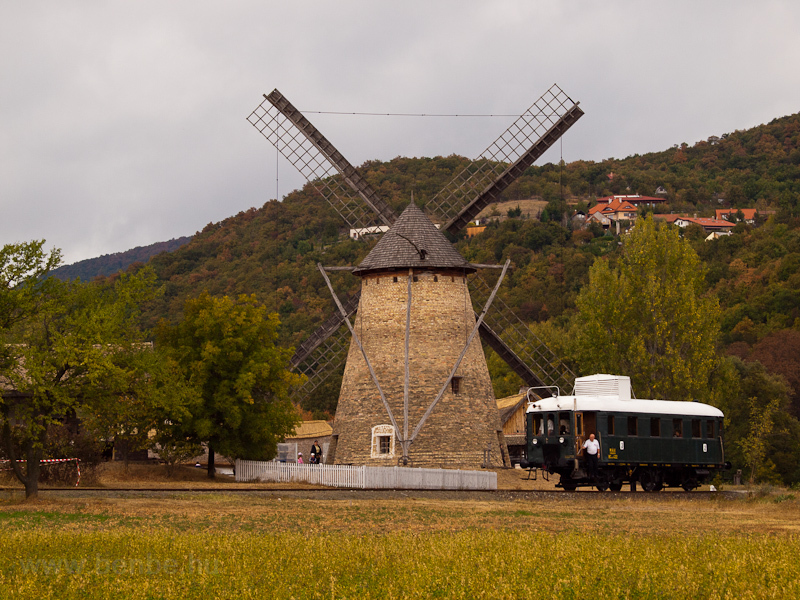 There is also a variety of craftsmen houses rebuilt complete with their interior, and the most spectacular is probably the windmill from Dusnok which is typical to Central-Hungary. 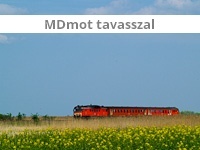 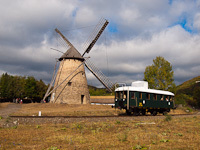 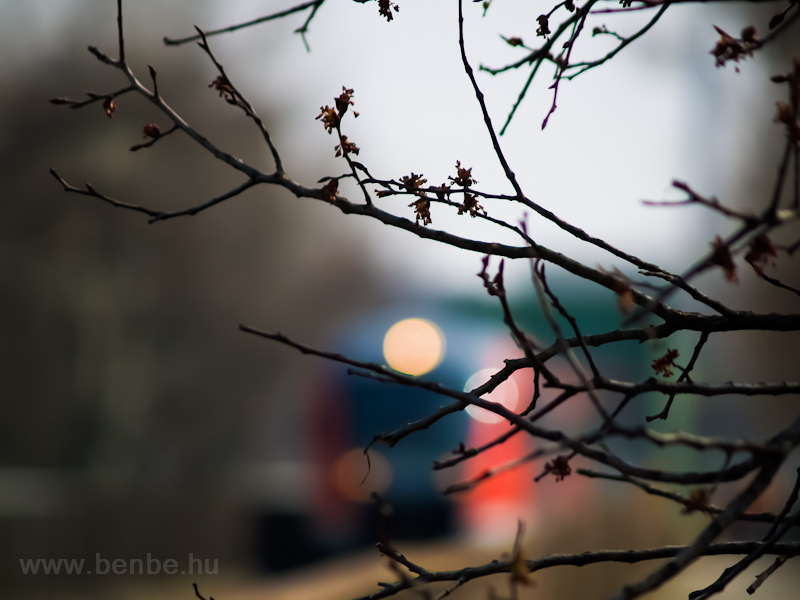 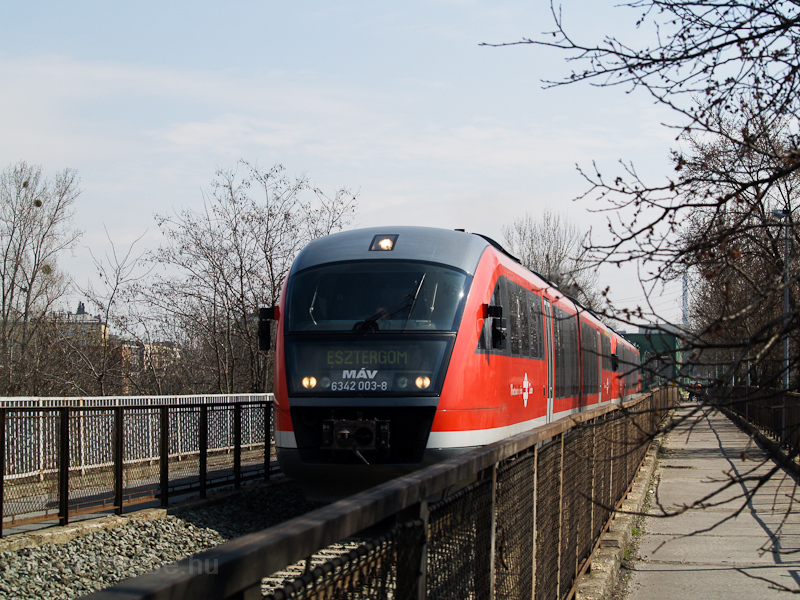 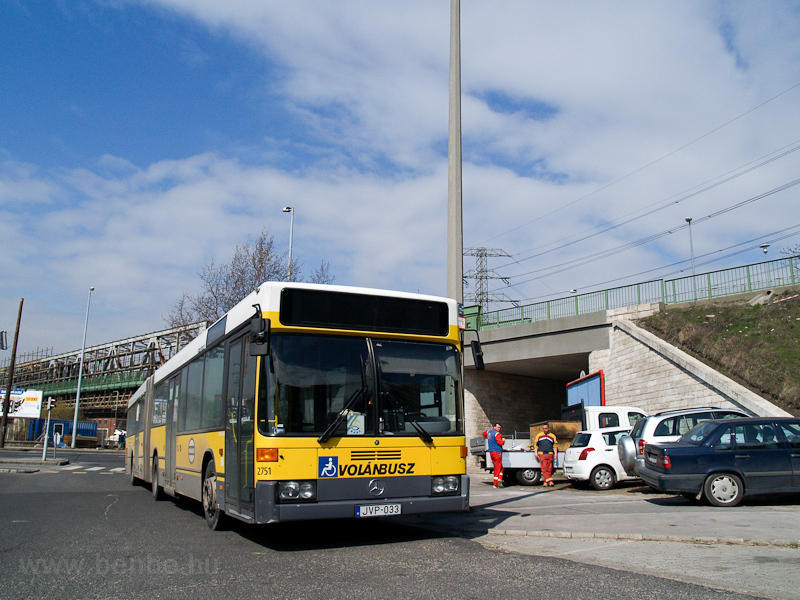 It creates a lovely motive to take a photo of the train with and it is quite like the original: the Szolnok-Szentes mainline also runs next to a windmill at Bagimajor. 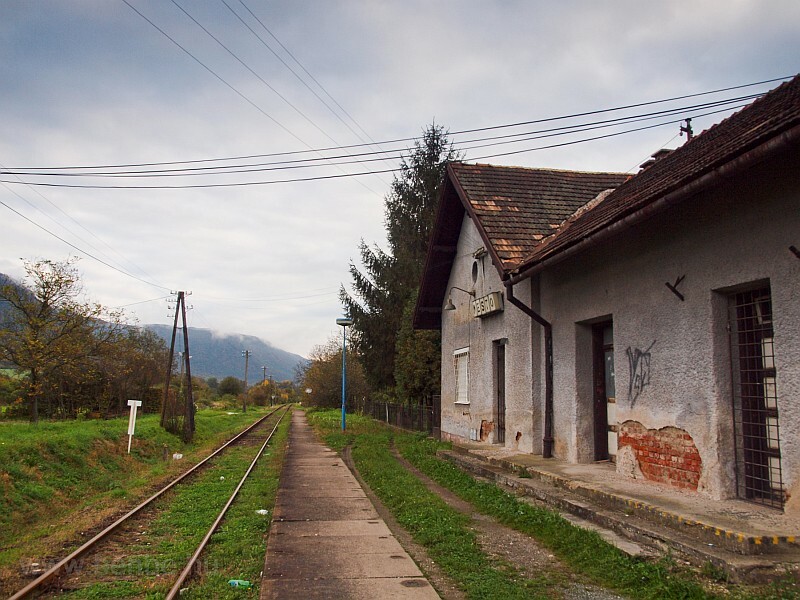 In real life there is no station name board on the building.